I was tagged by the lovely Kasey from Plein Vanity and sister duo Jennifer and Kathryne from Unsullied to do the Going Green Tag. As Kasey says, this tag was started by Rachel from All Natural Aspirations in her attempt to learn more about other bloggers’ experiences of “going green”. I never made an introductory post when I started blogging on how my green journey began, so thanks for tagging, ladies! 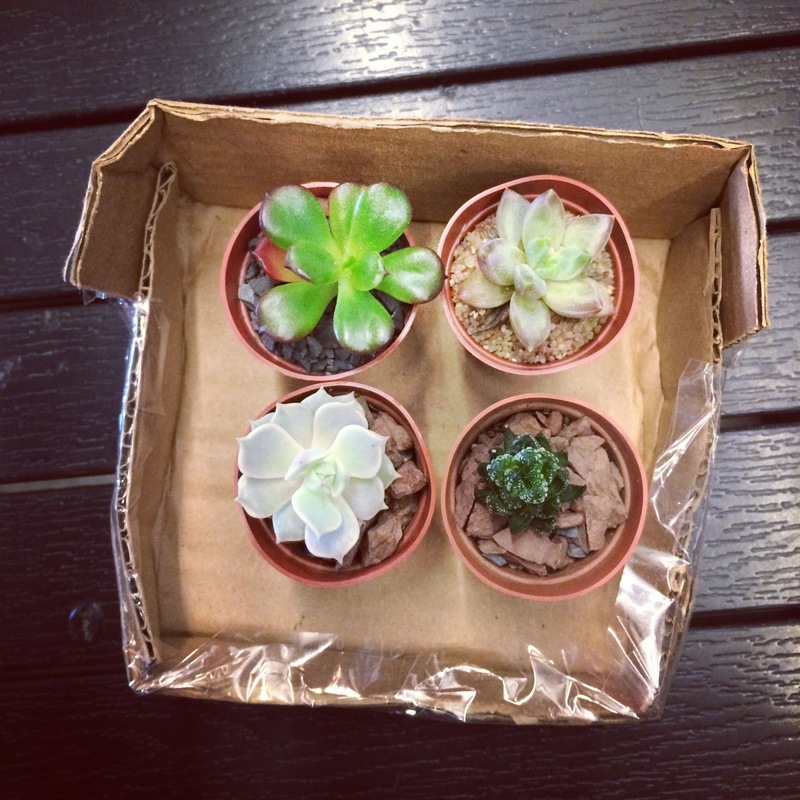 Pictured: Some cute succulents I picked up at Union Market, DC. What started it all off for you? It was a mixture of my on-and-off trench warfare with acne and a growing interest in makeup. In my acne-ful middle school and high school years, my makeup was eyeliner, mascara, eye concealer, done. Sometimes I would use concealer on my face, but a lot of the times I would forgo it (common conversation with myself: “Nah, you don’t need concealer today, that acne scar totally gives your face character”). In the spring of my freshman year of college, I discovered the wonders of shopping online at Sephora and Asian BB cream. I started experimenting around and started breaking out more. I read that mineral foundation was acne-friendly, so I tried some BareMinerals, kept on breaking out, read that bismuth oxychloride was a skin irritant, aaand returned that in a blink of an eye. In a flurry of fate, one of the order-with-samples was Josie Maran’s Argan Oil, the Birchbox of that month was the Earth Day Box, and I stumbled upon No More Dirty Looks. I played with the argan oil, checked out the mostly green products from the Birchbox (Juice Beauty, Egyptian Magic, not bad), read No More Dirty Looks, checked the back of my Philosophy Purity cleanser, and dropped it in horror after reading so many ingredient offenders that were poisoning me. 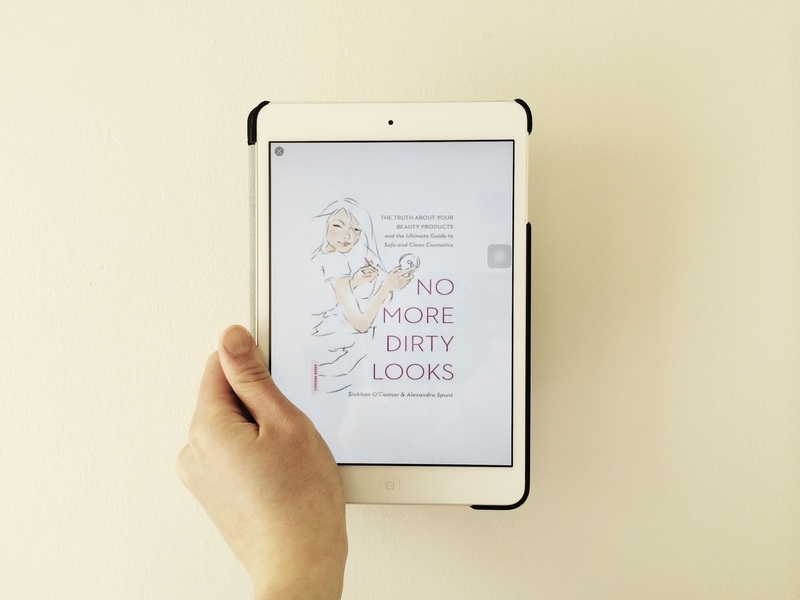 Pictured: No More Dirty Looks, Kindle edition. This book changed everything. Face cleanser/moisturizer. My first #greenbeauty products were One Love Organics Skin Savior and coconut oil, and I was so intrigued by products that could be a cleanser and a moisturizer at the same time. To be honest, I broke out even worse for a couple months after switching over, and it wasn’t until I changed to a simpler double-cleansing (jojoba, then honey), ACV-toning, and argan-moisturizing that my skin started to respond positively. Then I discovered Dr. Alkaitis, Vered Botanicals, yoga, eating green, and the rest is history. I’m not sure exactly what freaked my skin out at that time, but I’m attributing it to not double cleansing (*cringe), possibly not pure enough coconut oil (*double cringe), or possibly a sensitivity to coconut oil (*sad). What are you/did you struggle to let go of? Luckily, I wasn’t so attached to my skincare and makeup at the time, so I plunged into the world of #greenbeauty with absolute glee. I kind of did what NMDL advised not to do: freak out and throw everything away. Just knowing that there were inefficient or even harmful chemicals in my skincare and makeup repulsed me. I couldn’t put the products on my face after knowing what was inside them. Face oils!!! After years of oil-free brainwashing, I am now such a lover of face oils. The good ones give an instant glow, moisturize effectively, signal overreactive sebaceous glands to calm down, will often have great ingredients that are anti-inflammatory, omega fatty acids, and/or antioxidants. Also, their ingredients include some of my favorite foods: broccoli (similar feel as silicone), blueberry (antioxidants), raspberry (more antioxidants), and more. What has been the worst thing about going green? What has been the hardest to transition or find an adequate green replacement of? A lot of people say mascara, and this is where I have to thank my silly straight Asian lashes–even conventional mascaras never really worked for me. People also say deodorant, and this is where I have to thank my sweat glands–even that “prescriptive-strength anti-perspirant” deodorant didn’t work on me (can’t stop the sweat–stay tuned for a deo post). 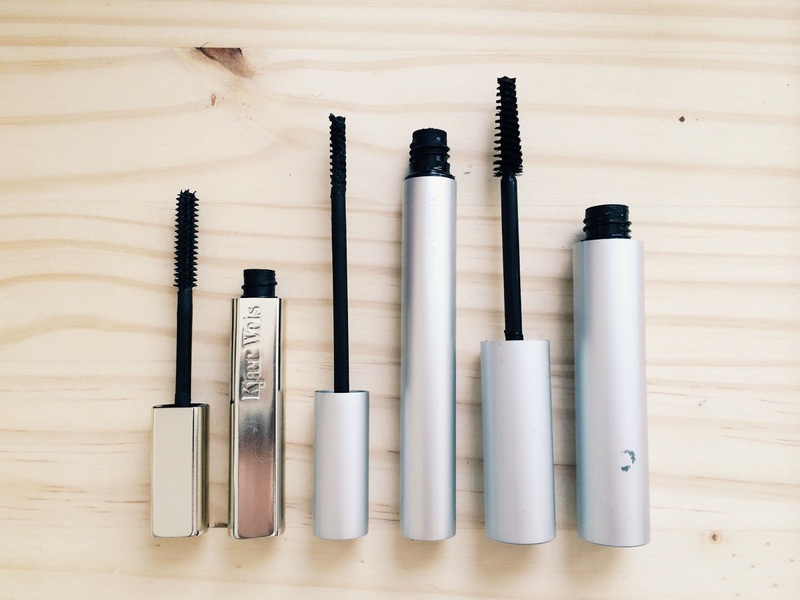 I think out of all of my products, it’s taken the longest time to find a mascara that works for me, period. The best part is that so many green beauty brands have been coming out with great mascaras made of natural ingredients and free of nasty preservatives, like rms beauty (defining is goooood stuff), W3ll People (@chinoisechic has good things to say about this one), and Alima Pure (tried it on my sis and looks good on her). The worst thing about going green is watching other people continuing to use non-green products in ignorance. I think the absolute worst thing is when I’m watching a YouTube beauty favorites video, and the YouTuber says, “I don’t know what is in this product, but I love it so much!” (Though it was really funny when one YouTuber was commenting how Philosophy’s Purity cleanser wasn’t very pure, which I agreed with, but not because of the parabens or such, but because of various plant oils that I thought were actually decent. Awkward.) Of course, it is a completely personal choice to go green or not go green at all, and I just have to learn to accept that everyone has different opinions, tastes, and comfort levels. Or I can just slyly give green beauty gifts out for special occasions (and guess what. 100% satisfaction rate so far–booyah). Anything else to add? Any tips or tricks to pass on? Be informed. You don’t have to go green, but as the consumer, you should at least know what is being absorbed into your bloodstream. There are so many great resources (No More Dirty Looks), lots of #greenbbloggers, lots of passionate green beauty store owners (Spirit Beauty Lounge, Follain, Clementine Fields, Eco Diva Beauty, Content Beauty, just to name a few), and lots of fabulous green beauty brands with inspiring stories who are committed to bringing healthy beauty to the world. Being informed will also help you if you are an acne-sufferer like me. I think the knowledge is so empowering–instead of resorting to super full-coverage makeup or using drying and potentially harmful acne treatments, you yourself can try to pinpoint what is causing the acne–is it diet, stress, a product, hormones? You’re not helpless! Of course, if it gets really bad, see a derm, but you have the power to not only heal your skin but also make it as healthy and happy as possible. I hope you’ve enjoyed reading about how I went green! Now, I would love to hear Marcella’s (Naturally Marcy), Asti’s (Skjonnhet), Kathy’s (Beauty Palette), and your story of how you went green. Great write up, Jade! Your range of emotions about coconut oil really cracked me up! Oh yeah, I feel the same about youtubers rave about non-green products to treat their acne, watching them slather on layers and layers of paraben and chemical-filled makeup… But it's all about personal choices. I think idea of the green beauty is gradually gaining recognition and popularity, so hopefully more people will jump on the bandwagon! Converting to green beauty also propelled me to eat and live healthier, talk about killing 2 birds with one stone! Thank you Ru! I definitely agree–green is a personal thing, and hopefully more people will become more and more aware, so at least if they choose to continue to be non-green, it'll be a conscious choice and not an uninformed one. The same thing happened to me! Pre-green beauty, I was mostly healthy with the occasional ramen or burger here and there, but now post-green beauty, I am trying to be so much more conscious of what's going in my body, especially since learning that diet and lifestyle also definitely have an influence on the skin. Thank you Liz! I read your post on Mun's Dream Youth Serum, and it made me so excited for when I can finally crack open mine. I loved reading your answers! I agree with you about the YouTubers and what annoys me more is when they have an actual green product and they're like "Ooh this is one of those products thats full of the good stuff" and it just makes me think, if you know this is full of good stuff, your products must be full of bad stuff so why do you keep on using them?! Baffles me! I appreciate this post so much as someone who went about it all wrong a couple years ago. My skin is problematic and I couldn't find anything to make break outs go away so I switched to natural stuff. At the time, there was mainly Tata Harper and Kahina and their products didn't really work for me and everything from both of those lines just felt like good (but expensive) moisturizers. And other stuff made me break out even more. I am very happy there are more options now such as Intelligent Nutrients and Yuli which are both doing wonders for my skin. Thank you Amber! I am as equally baffled. I suppose recognizing a product is "free of nasties" is just the first step. Hopefully realizing that their other products are full of nasties is the next step! Thank you Lisa! I totally hear you and am sorry to hear that we went through the same experience. I am so jealous of the people who talk about how their skin improved right from the start of going green. 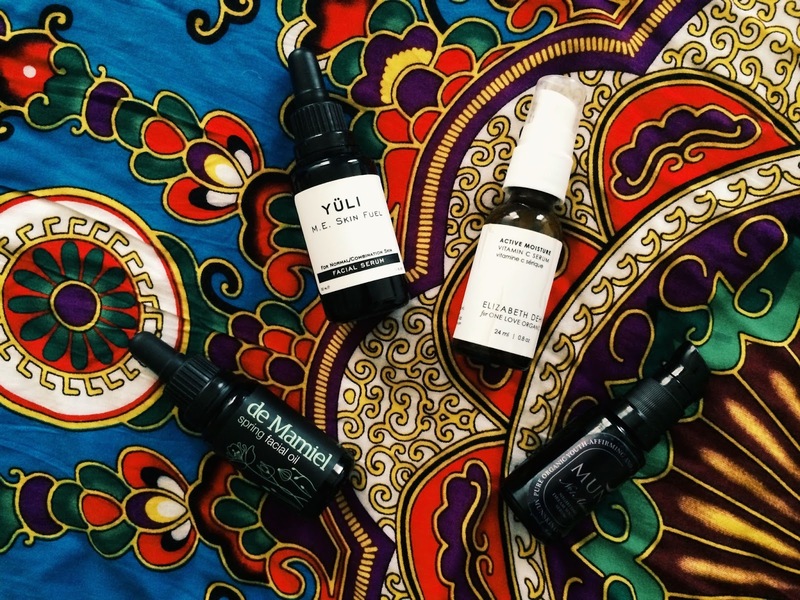 That's interesting that TH and Kahina didn't work for you–they were lines I was thinking to switch to from my DIY-ish routine, but I eventually settled on Dr. Alkaitis since they seemed more directed towards blemishes. I am happy to hear IN and YÜLI are working for you though 🙂 I haven't tried much of Intelligent Nutrients (just haircare), but YÜLI has also done magic for my skin. Thank you Kasey! An interesting journey, although initially difficult, that I am definitely thankful for. Sending you mutual love! Hopefully more and more beauty bloggers and YouTube beauty vloggers will become more interested in what they are putting on their skin. I definitely love that too about the green beauty community–it's not just about products and performance, but ingredients and health and overall wellbeing. Love it! I must say that I find the worst thing about going green to be also that watching other people getting excited by dirty products. Especially those big YouTube bloggers. I once followed a bunch of them, but ended up unsubscribing a lot of them in the end because none of what they were reviewing was at all of my interest. I'm much like, "If you have something bad to say, don't say it at all." Well, I felt the urge to write striking comments, so the only sane thing to do was to ignore those people. Another thing that bugged me about these people is that I find many bloggers switching like Green Beauty is only a "trend". They will try some, saying how great and all it is that it's clean with good ingredients, but in the next post or two they are back to their old products. Like, what's up with that?! If you don't like a product, you go and find another one, not go back to bad ones? Especially if you care about yourself and others. You are an inspiration! Thanks for the mention Jade. I heart you! I know what you mean. To be honest, I still follow a couple of conventional YouTube beauty bloggers even though I'm not interested in the products. Luckily, many of them have a few green favorites (usually rms or Pai) and it always makes me happy when they include them in videos. But just like you said, even though they recognize that this green product is "free of nasties" and has "none of the nasty stuff", they still continue using all of their other products. I guess there is sort of a disconnect–but I hope for their sake that they will put two and two together and become more concerned about what is going onto their skin.